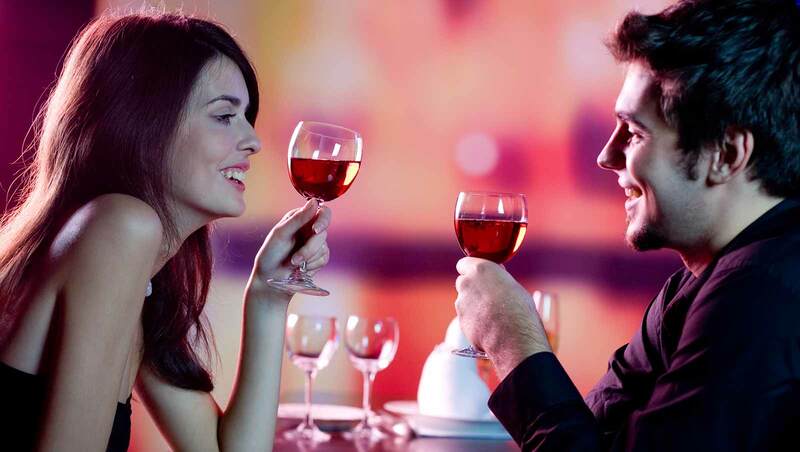 Dating first time on the occasion of Valentine's Day and feeling excited? Do not panic much as this is going to be your first and prime chance to impress your special one. Valentine's Day is an important day for the couples in love. So you must not miss this golden opportunity to show your partner that how much you care for each and every detail to make your date worth remembering. As there is a saying that first impression is the best and lasts long so you should give your hundred percent efforts to make your first Valentine's Day memorable. Don't be as confused as some of the notable ideas have given below for you to make your day unforgettable. Handmade gifts are always more precious than the gifts you bought from markets. So try something new something unique to impress your lover. You can cook a meal for your partner. You may wonder and hesitate as you don't know cooking but your effort would surely make your partner smile. Else you can bring handmade greetings card with romantic quotations in it. Chocolate box is another super idea to impress as a chocolate box is able to bring an instant smile and is capable to win thousand hearts. Try to avoid hectic journey. Remember both of you want to spend quality time together and not to experience hectic hours. So choose a place that lies between both of your locations. And plan to spend the whole day at a single place to spend relaxed undisturbed and uninterrupted hours. Else walking long together is also a good and romantic idea. Your aim should be to spend more time together. This is one of the popular ideas of celebrating Valentine's Day among the couples. A romantic candlelight dinner is something really romantic and charming. You can book your table by the previous night as on that day you may not find any available table due to high demand. At the dinner do not forget to bring flowers for your woman and for ladies a sweet smile would work well. It would be wise to finish the dinner slowly and enjoy the romantic environment as long as possible. You do not need to behave so formally in front of your partner just be as you are and enjoy each other's company. Try avoiding the crowded place as people often show unnecessary curiosity to the couples spending time together. So it would be wise to choose a calm and quiet place where both of you would get enough time to talk to know each other well. Places surrounded by nature like parks would be an ideal place to spend quality time together. This is one of the most important tips to impress your partner. Everyone seeks priority. And if you prioritize the choice of your lover first he or she would be definitely overwhelmed. So before taking any decision regarding the destination or activities on that very day ask your partner first about his or her choice. In case your partner's choice doesn't match yours don't differ or argue just try to adjust with your lover. Remember without sacrifice you would not be able to win a heart.